Last weekend we packed up our bikes and Bryson's old plastic trike and went to the Jordan River Parkway for a relaxing evening bike ride with some friends. About three minutes down the trail we realized Bryson desperately needed a bike. A real bike. His dinky trike was tortoise slow and the wheels spun in place the majority of the time, which made for a very slow ride. 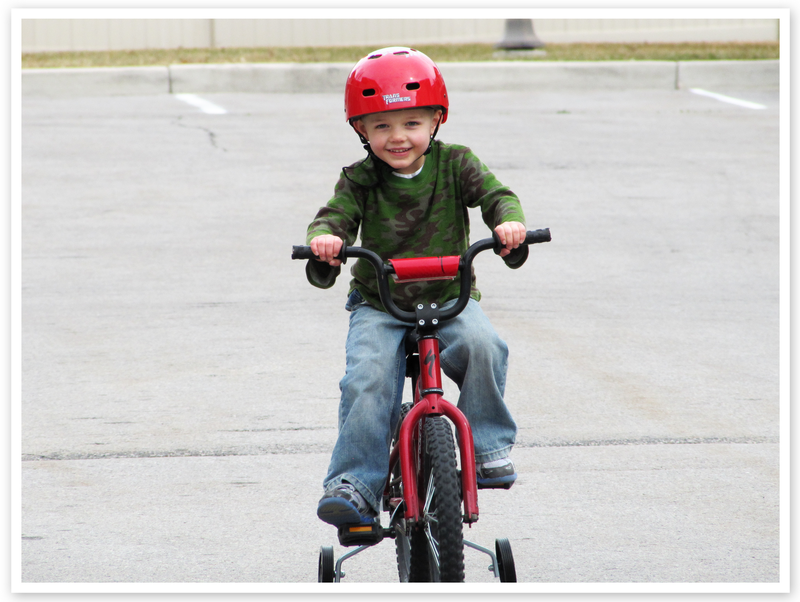 So a few days ago we surprised Bryson with a real bike as an early birthday present. Even though he kept telling us he didn't want a bike for his birthday (he's hoping for a double-sided light saber), he could hardly hold back his excitement and just beamed from ear to ear when he walked outside and first saw it. It was so cute watching Mike (I love that man) teach Bryson how to ride it. 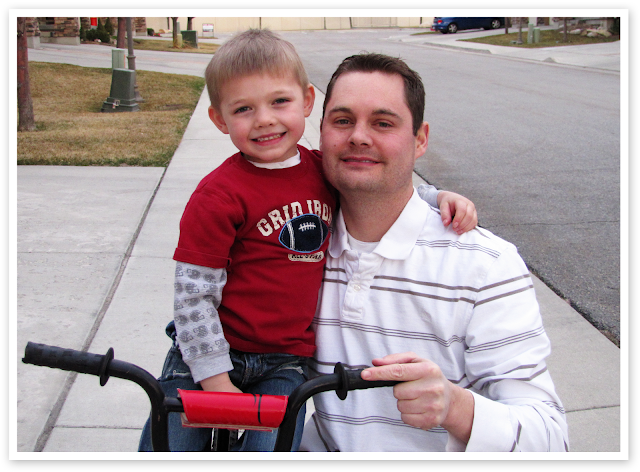 When we first gave it to him we didn't have training wheels for it yet so Bryson took a few spills and hurt his elbow. 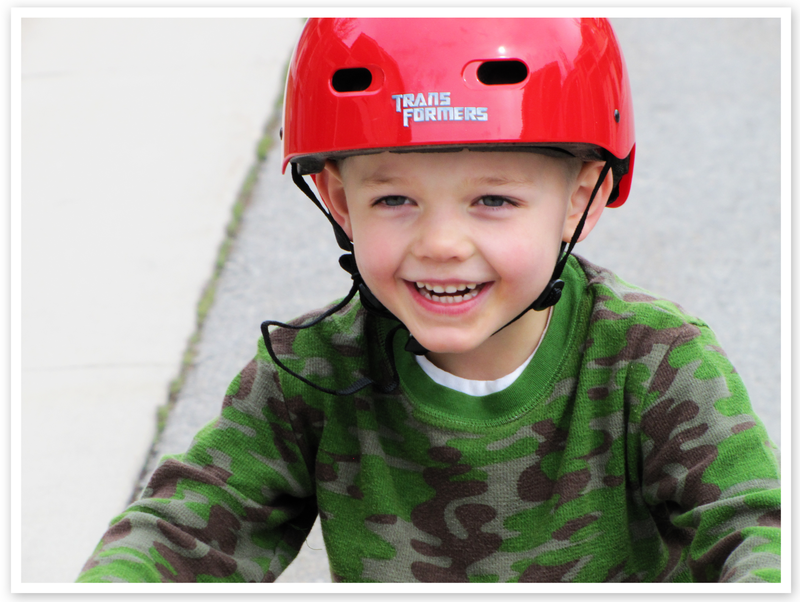 But since then we've bought him the training wheels and a helmet and he rides like a pro. Now every time we turn around Bryson is begging one of us to take him outside so he can ride it. It looks like we'll have to plan another trip to the trail soon with his sweet new ride.